A family of rampant consumers suffers the fate of power outages! Father Sun speaks to them with a warm voice. He shows them how they are destroying mother earth by burning the ancient sunlight of Father Sun, which was bestowed upon her. They learn how to use reduce consumption, use renewable energy and heal mother earth before it is too late. A play about energy and climate change, Father Sun explains how air pollution from generation of electricity and people’s day-to-day reliance on oil are forcing climate change upon the earth. He reasons that climate change will have a dramatic impact upon the unique biodiversity of the Cape Town metropolitan area and in turn how this will impact upon communities and livelihoods in the form of floods, drought; natural disasters and subsequently food and water security. The family learns about alternative energy sources (wind; wave and solar power) and how to change their daily lifestyle. 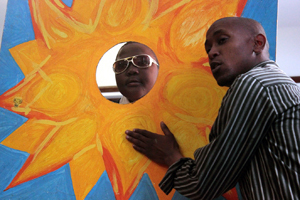 Father Sun uses imagery, music and audience participation to make the learning experience fun. Father Sun is 45 minutes in duration and is suitable for Grades 4-9. An accompanying drama skills workshop is also available. 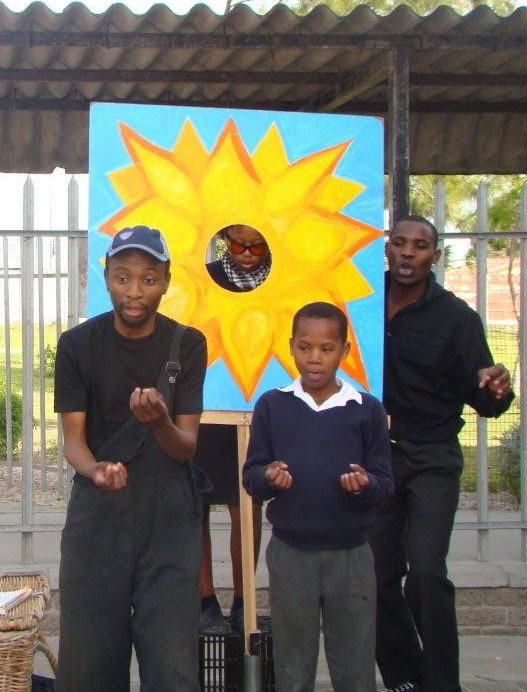 Created in 2008, Father Sun was rolled out as part of Climate Change and Energy Week and Marine and Climate Change Week for the City’s Youth Environmental Schools programme that year and with City of Cape Town’s Disaster Risk Management in 2009 and 2010. In 2012, it became part of the Resilient Cities campaign and visited the Cape Winelands and Overstrand communities.